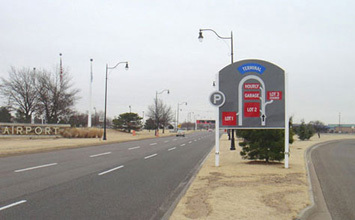 In 2005, the airport in Oklahoma City, Will Rogers World Airport (one of the few airports named after someone who died in a plane crash), closed a large parking lot in order to build a new multi-story garage on the site. A remote lot was opened to compensate for the lost spaces. 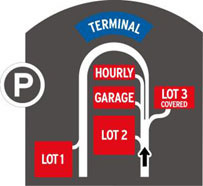 The airport needed a way to communicate to drivers where all of the parking lots were located. 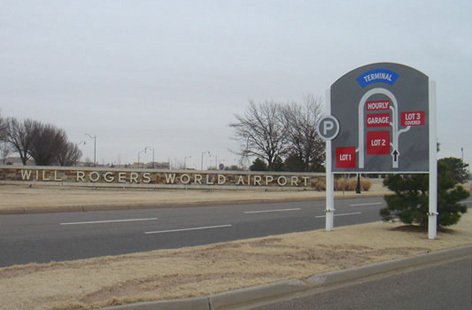 Like many airports, Will Rogers faced increasing competition from off-site lots and increased vehicular traffic as the number of flying passengers increased. 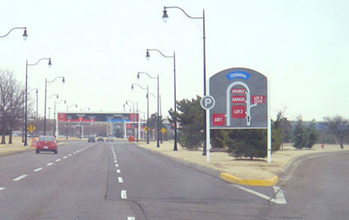 Funnel Design Group was the airport design firm. The banners inside the terminal, some of the signage, and the airport graphic pieces were designed by Funnel. 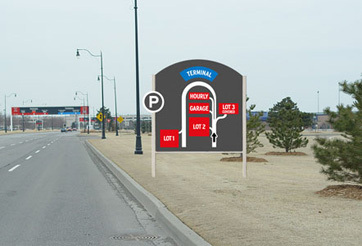 I was hired as a design consultant to work on this project to improve the environmental graphics and wayfinding at the airport. We explored the entire system of environmental graphics - signage, labels, wayfinding, placement, size, colors - from the exit off of the freeway to Meridian Road, the roadways towards the terminal and parking, and the entrances to the lots and the terminal. We explored user needs - the primary target market would be rushed, ignorant of the airport layout, and possibly a bit stressed. The new signs would need to provide assurance, guidance, and comfort. 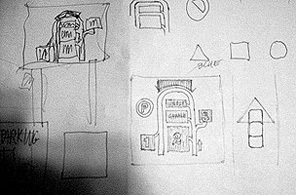 Details of exits, specific sizes and relative scale were not important. 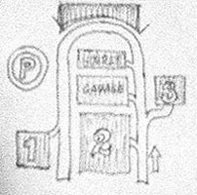 Just show the user how to get to the parking options - that's all the motorist is concerned about. 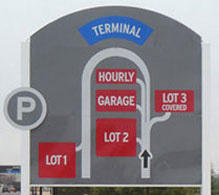 The exit information is communicated by wayfinding signs inside the lots. 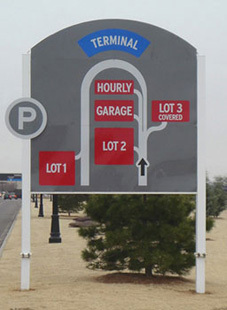 The map sign, lot signs, and other wayfinding signs were submitted to the director of the airport. Some were accepted and implemented, other proposals may wait for implementation until the new garage is finished. 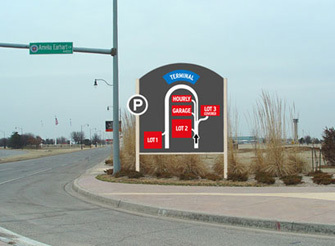 The parking lot wayfinding sign was built and installed. Original sketch. Computer-built comp. Finished installed sign.